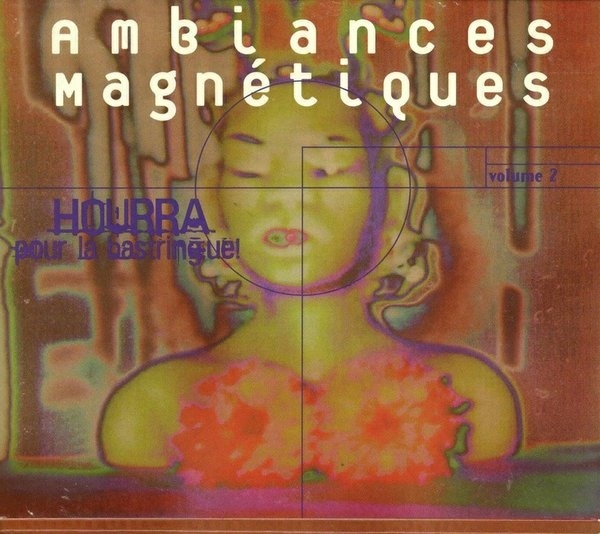 French Canadian label, Ambiances Magnétiques released a second sampler of their diverse artist's work in 1997. The disc focuses on various combinations of personnel ranging from solo and duet performances to percussion ensembles, and larger groups. Compiled in part by René Lussier, the wide array of compositions vary from outright clarinet pieces to full band accompaniment and what I'd call pure pandemonium pieces. Robert M. Lepage is featured across four pieces, which features a jazzy lounge soirée to an intense orchestral fugue reminiscent of Present. Lussier himself duets with Lepage on "Chants et danses du monde inanimé," which I believe has something to do with chants and dances for inanimate objects. "Trois Histoires" is an uncomfortable song with two guitars in somber competition, which also includes some odd random samples. Jean Derome is represented by four pieces ranging from RIO based free jazz, "Navré," an odd recorder piece, to a well-structured jazz piece: all with a certain amount of cabaret and whimsy. Pierre Cartier gets the distinction of the longest piece out of the seventeen the collection. Although the track, "Les Fleurs due tapis" is a slow jazz ballad, it's the most memorable and Canterbury-ish in composition. Not one piece conforms to a droning synthesizer style that is more closely associated with the work of Brian Eno or Robert Rich. I guess if the intent was to display varying styles with nerve and joie de vivre, then these tracks meet that requirement. I have to admit that this is a very experimental label and catalog which is targeted solely for challenging minds and ears.